If you are looking for an inexpensive all-inclusive stay in the heart of Varadero, you won’t go wrong with Islazul Villa La Mar. Villa La Mar is just a short walk from Varadero’s beautiful white sandy beach but even closer to the famous strip’s shops, markets & speciality restaurants. La Mar’s swimming pool & terrace are clean & well maintained with plenty of sun loungers, surrounded by picturesque palm trees. There are daily activities around the pool as well as basketball, volleyball & ping-pong tables, while the staff also provide nightly entertainment shows. However, it should be noted that Islazul Villa La Mar hotel has no lifts & so is unsuitable for those with limited mobility. 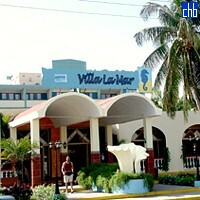 Villa La Mar’s buffet restaurant is bright & welcoming, serving a good range of simple, tasty food. 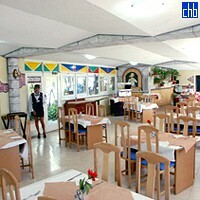 The hotel also serves good food from its international a la carte restaurant & snack bar, while its 3 bars include a beach bar. Perfectly placed for exploring the attractions of Varadero or relaxing away the hours on soft white sands, Villa Islazul La Mar hotel is ideal for anyone looking to enjoy an all-inclusive Cuban holiday on a budget. 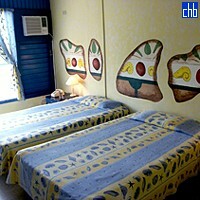 All rooms are bright & comfortable, with double or twin beds, air conditioning & satellite TV. Villa La Mar’s 218 standard rooms are all ensuite & fitted with showers, though ground floor accommodation is recommended for those with limited mobility.